So this was it for May, now on to June. 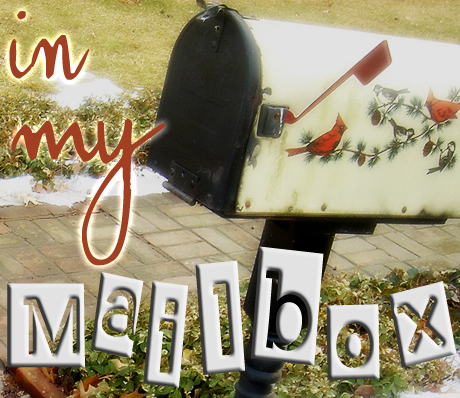 To celebrate I also designed a new header and button for my blog. It was about time for a small make over. Feel free to link your wrap-up posts in the comments. Finley Jayne is about to lose another job and this time she ends up running for her life after she beats the son of her employer nearly to death. But instead of finding a safe place she ends up getting hit by a young duke that takes her to his home and makes it his mission to protect her and finally welcome her to the weird company he keeps. 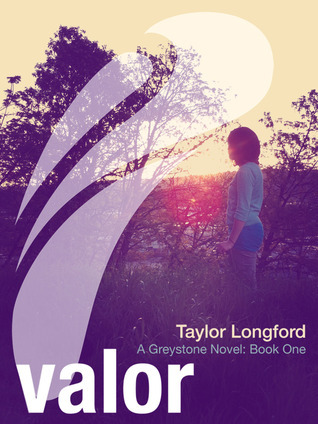 Griffin King never thought that he would find Finley, a girl so different but who belong with him and his friends, in the middle of the Hyde park, but once he sees what she can do he is sure that she is unique and exactly like them. With her help and the help of his friends, Sam the huge, half-machine he knows ever since he was a kid, Emily, the smartest girl or even human he knows and Jasper, an American cowboy, they will try to solve the mystery behind the Machinist and the items he seems to be stealing. What remains is for them to figure out his master plan and stop him before it's too late. I loved this book. Really really loved it. 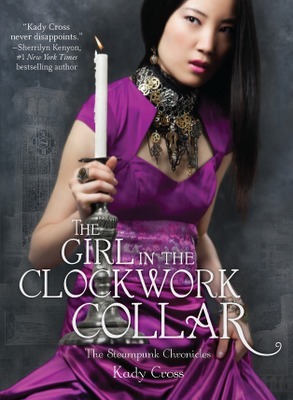 I loved the world that Kady Cross has created, with the old England and steampunk technology merged together. Also a big pro of this book are the characters. Each one so unique and adorable. Finley, fitting to fit in when she doesn't even except her own self. Griffin, protective and a great leader. Sam, trying to accept his new body all the while not being sure if we can forgive his friends for what they've done to him and surely not trusting Finley. Jack Dandy, oh Jack...he was a favorite. So dark and mysterious yet so sweet and protective. I could swoon over him for hours. I really enjoyed the story behind each character and the promise of more stories to come. How everyone's past was somehow connected. The one thing that I didn't really go crazy about was the villain, for me the Machinist wasn't anything special. And I had his plan and his identity figured out from the early chapters so it wasn't much of a surprise. I would love a bigger mystery surrounding him and maybe if he was more vicious or something, more of a mad mastermind villain. Still, I loved this book and now I am off to read the next one! This week I wasn't really expecting to get anything at all, but one of my pre-orders came out and then two other books I've ordered came a little earlier than I expected (that almost never happens) and then I found two ebooks for free. I can't really say no to free books. As you can guess Ruby Red is the pre-order. I love the new covers of the series. 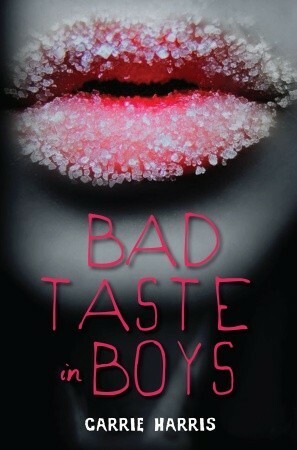 I wanted to read this book for so long but I was waiting for this cover. 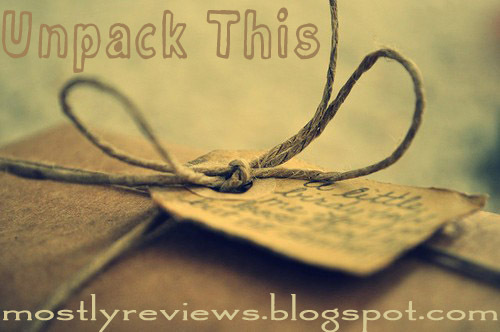 I love time-traveling books and this one has got some awesome reviews. I also got The Night Watch and Cirque Du Freak, these are both for my book2movie challenge. I loved both of these movies so hopefully I will love the books too, although The Night Watch is a huge one and I don't know when I am going to read it. At least I have until the end of the year. They are still free so go get them while you can. I had Guardian in my to read list for a while now, hoping that one day it will be for free and that day finally came. I found Entangled while looking for books with twins. I am in a really 'twin' mood these days, although I am not reading any books about twins, so I was very excited to find it and for free too. 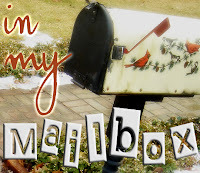 It's time for another blog hop. 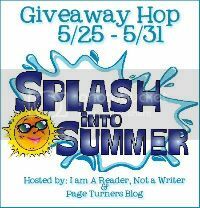 Splash into summer is hosted by I am A Reader, Not a Writer and Page Turners Blog. 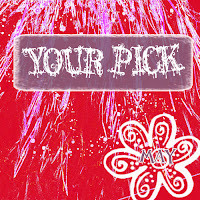 Click the image to see all the blogs participating. Since it's a Splash into Summer Giveaway, I decided that you can pick whatever book you want from the Book Depository up to $10 that has to do something with summer(summer camp, vacation, etc) or has water at the cover. 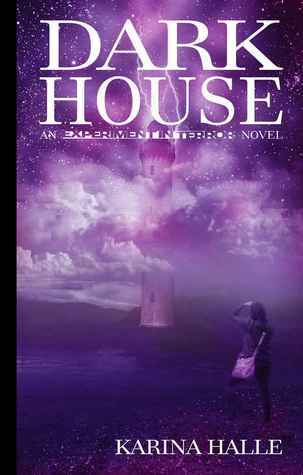 When I started reading this book I thought it was a stand alone but after seeing the other reviews I found out it's part of a trilogy. Thank God, cause I was expecting everything to be resolved in the end but I was left a little bit confused. I guess I will jus thave to wait for the next book. 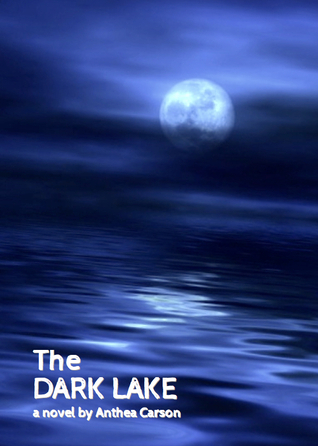 The Dark Lake is the story of Jane. We follow her through her crazy life, from therapy appointments to anger managment meetings and back home with her parents. She is struggling to get and keep a job, wishing that in the end she will be able to move out, all the while haunted by the memories of her past and a night she can't really remember. This book was very different from what you usually can find out there. Jane's mind is a huge labirinth. You never know where you are going to end up next. During her everyday life a lot of memories from her past flash before her eyes, she can't really seperate her dreams from reality and has a few hallucinations too. I especially loved the memories. I had so many theories as to what happened that night and what is going on right now. Unfortunatelly I was expecting a big bang at the end that never came and then I learned that the book is part of a series. I can't wait to finally figure out what is going on with Jane and see if any of my theories are correct. The bout of books read-a-thon is over and I have to say I really enjoyed it. I met a lot of new (crazy) people and got a lot of reading done. Usually I am bored to read during the day and only read before sleep but this time I read everywhere. Even at some classes of mine, I don't think anyone noticed so everything's cool. I was really pupped up for this and as you can see from the Daily posts I read more during the first three days, then I kind of had a down fall, but still managed to reach my goal of three books during the week, which is twice what I usually read (I read one and a half books per week). There were also a few fun challenges I took part in while reading. 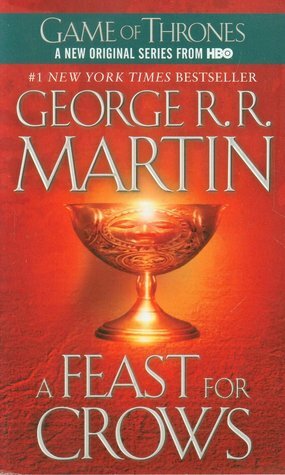 Day 1 Challenge: What do you like best about readathons? Do you have any readathon traditions or rituals? If this is your first readathon, what do you like so far? This is actually my first read-a-thon and I am loving it. I really like that I push myself to read more, it’s like I am in a race and I have to win, or at least read. Also it helps me get through my reading pile. I would definitely participate in the future too. Day 2 Challenge: This or That? Reading in bed or On the couch? Both! Original or TV Adaptation? Original!!! 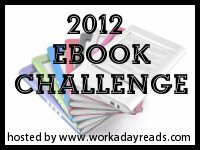 Day 3 Challenge: Re-Title It "Dead Woman Walking"
Today I finished Charade. Which means I actually reached my goal of finishing 3 books during the read-a-thon. 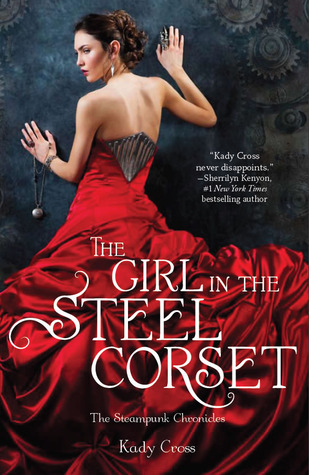 Also I started The Girl in the Steel Corset this morning but I only read chapter one cause I didn't have any time to do any reading today. So I only reached page 25 of 473. 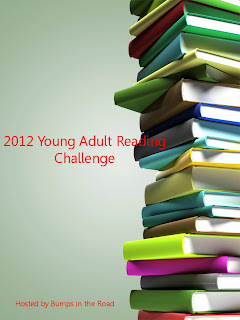 There will be a wrap up post of the read-a-thon tomorrow morning with all the challenges and all my reading progress. I was really glad to receive this book for review. It has so many elements that I love. 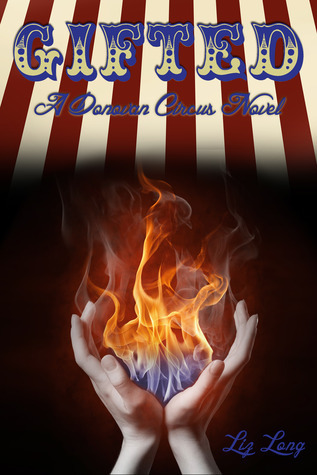 The MC is a firestarter, there is a circus and there is murder and mystery too. Unfortunately I will get to it in June. If you are interested too you can get an e-copy from amazon, it's really cheap. Finally the paperback for Hold me Closer, Necromancer is out. I was waiting for it forever. Also got the second book in the Seven Realms Series, I own the first one too but I haven't read it yet, still I couldn't resist when I found this one used for 3 euros. In the second book of the Heven and Hell series, Sam and Heven are faced with the aftermath of getting the scroll and are burdened by their mission to return it to Rome. Heven is getting attacked by demons after the scroll almost everyday and Sam is trying to figure out what's wrong with his brother, Logan, who just found him. A lot of new characters are intoduced, fallen angels, witches, a dragon and quite a few more demons. 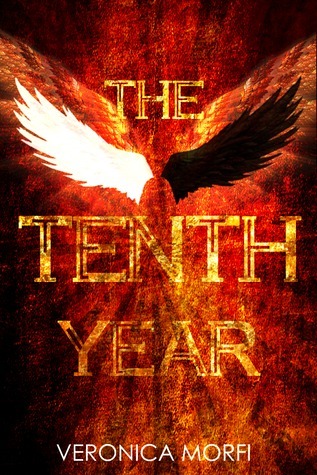 From the catacombs of Rome to the darkest places of Hell, this book really has it all. For me the story was a little bit slower than I expected at the beginning. But I was really looking forward to their Rome trip, which didn't last as much as I wanted it too. But once they were in Rome and even after they came back the pace was so much faster. A lot of things when on in this book. Surprising revelations, new friends and enemies, and of course a lot of twists and turns, some of them expected and some of them not. 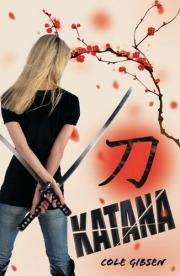 What I loved about this book, surprisingly enough, was Heven. 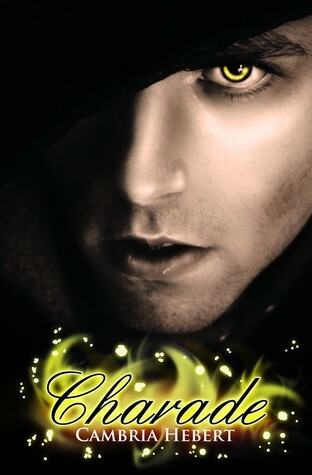 Reading the first book I was a huge fan of Sam and simply liked Heven, but now... now I love Heven. She is becoming a great person. Strong, confident, selfless. She knows what's right and does it even if she doesn't really want to. She pushes herself to be the person she wants to be and it's working. I think there is so much more potential in her and we will probably see that in the next book. I didn't manage to finish Charade today as I hoped I would but I am very close. I am on page 277 of 331. I am definitely going to finish it tomorrow. I need to read more! Uni is too distracting! I am only on page 140 of 331. I want to finish this one tomorrow. And then I want to start another one. Today I didn't get much reading done. I was in a more creative state of mind. Cambria's books tend to make me wanna write. So I did! Anyways I am on page 74 of Charade still have a long way to go until I reach page 331, but this read-a-thon is going great anyways. Also I realised that I read faster when a book is in print, which this one is not. 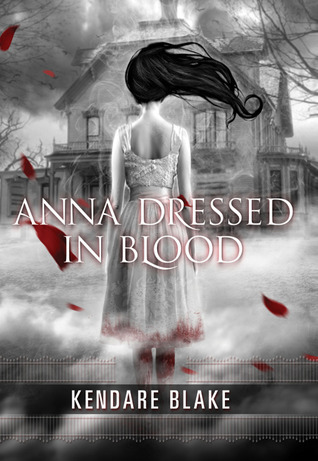 Today I managed to finish Anna Dressed in Blood and it was an amazing read. I read the last 170 pages of it. Also I started reading Charade and I am 4% done (19 pages). I know it's just one chapter but I will get more reading done tomorrow. Cas is a ghost hunter. He moves from town to town, following leads on ghosts that are hunting and killing humans and he gets rid of them before they can hurt anyone else. His latest stop is a town in Canada and his latest ghost is Anna. Anna dressed in blood. This time is different. 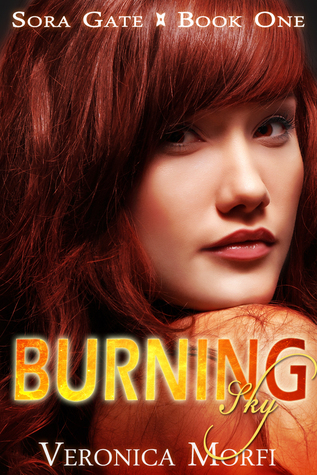 Anna is not your typical midnless humankilling ghost. She is more. More than Cas expected and more than he can hundle. And this time more people are getting involved. The high school's queen bee, the weird witch kid and a few more. With the help, and usual protest, of them Cas will have to find a way to stop Anna even if that means losing her forever. This book is amazing. It had me begging for more once it was over. I loved all the characters even the jerky ones. Cas was brave, a little lonely and I just wanted to hug him whenever he was vulnerable. Anna was the most amazing girl you can read about. After learning what happened to her, all the horrible details, I liked her even more, she was brave and strong and willing to put her self in danger for the ones she cared about. Thomas and Carmel were also great characters. 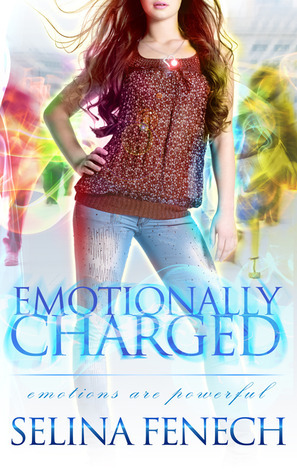 Carmel is actually my favorite character of the book. In the beginning I though I wouldn't like her, that she was just another Prom queen, but she is not as girly as she seems to be, more brave than anyone else in the book and so much smarter than I expected. Great female character. Besides the amazing characters I loved the story. Anna's past, Cas's memories and how they both led into something so much more in the end. The story turned out to be amazing. And OMG I loved the ending. I was literally screaming "Go Cas" when I closed the book. I can't wait for book two. I wonder what new ghosts Cas and the rest of them will meet.